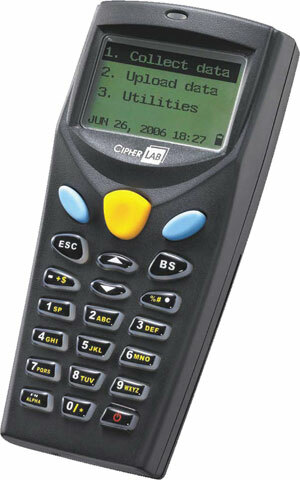 8000 Series: 8062, Mobile Computer, Pocket Size, Bluetooth 2.0, 2MB, Lithium-ion Battery, Linear 1D Imager. Interface Cables and Cradles Sold Separately. Charging Cradle (Part# A8001RAC00004). 8000 Series: 8021, Mobile Computer, Pocket Size, Batch, 2MB, Lithium-ion Battery, Linear 1D Imager, Acoustic Communication. Interface Cables and Cradles Sold Separately. Charging Cradle (Part# A8001RAC00004). 8000 Series: 8001, Mobile Computer Kit, Pocket Size, Batch, 2MB, Lithium-ion Battery, RS-232 Cradle, Laser Scanner. 8000 Series: 8000, Mobile Computer Kit, Pocket Size, Batch, 2MB, Lithium-ion Battery, USB Cradle, Linear 1D Imager. 8000 Series: 8001, Mobile Computer, Pocket Size, Batch, 4MB, Lithium-ion Battery, Laser Scanner. Interface Cables and Cradles Sold Separately. Charging Cradle (Part# A8001RAC00004). 8000 Series: 8001, Mobile Computer, Pocket Size, Batch, 2MB, Lithium-ion Battery, Laser Scanner. Interface Cables and Cradles Sold Separately. Charging Cradle (Part# A8001RAC00004). 8001H, Mobile Computer, Batch, Laser, Antimicrobial, 2Mb, Charging And Communication Cradle, Usb Cable. 8000 Series: 8000, Mobile Computer, Pocket Size, Batch, 2MB, Disposable AAA, Linear 1D Imager. Interface Cables and Cradles Sold Separately. Charging Cradle (Part# A8001RAC00004). 8000 Series: 8000, Mobile Computer Kit, Pocket Size, Batch, 2MB, Disposable AAA, USB Cradle, Laser Scanner. 8000 Series: 8000, Mobile Computer, Pocket Size, Batch, 2MB, Lithium-ion Battery, Laser Scanner. Interface Cables and Cradles Sold Separately. Charging Cradle (Part# A8001RAC00004). Service Contract - 3 Year, 3-Year Standard Comprehensive Service Contract. Must Be Ordered At The Time Of Equipment Purchase. Comprehensive coverage Excludes Only Units That Have Been Crushed Or Submerged In Water. Unit Repaired And Returned To Mfg. Spec Within Two - Four Business Days. Technician Level Phone Support Included. Application Re-Loading Included When Provided By Customer. Ups Ground Back To Customer Unless Customer Pays For Expedited Freight Service.